Indian tennis player Prajnesh Gunneswaran continued his rise in the ATP rankings as the 29-year-old found himself in the 80th spot in the latest updates released on Monday. Prajnesh had broken into the top 100 in February earlier this year and is the highest ranked Indian in singles’ competition as of this writing. Prajnesh Gunneswaran attained his career-best ranking of 80 in the latest ATP updates. Prajnesh qualified for the main draw of the Miami Open after getting the better of Great Britain’s Jay Clarke in straight sets. Then ranked 81, the 2018 Asian Games gold medallist shrugged off Spaniard Adrian Menendez Maceiras’ challenge before bowing out to Jaume Munar in the Round of 128. Roger Federer eventually won the tournament. 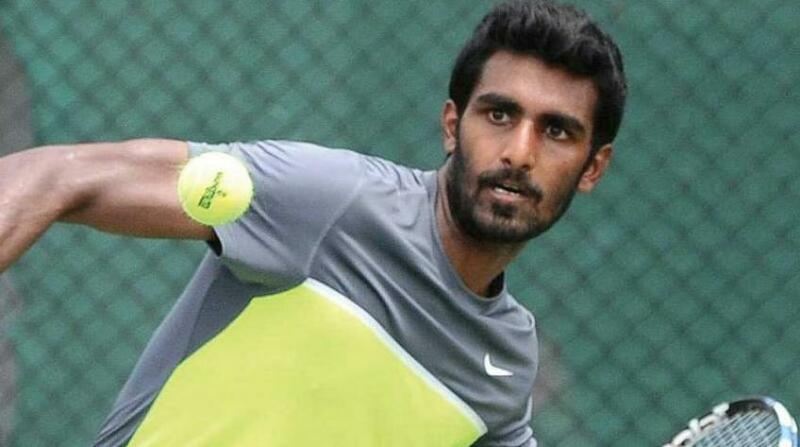 Prajnesh is currently in China, participating in the Kunming Open as a part of the ATP Challenger Tour. He will be in doubles action tomorrow against the duo of Spain’s Enrique Lopez Perez and Switzerland’s Luca Margaroli with his partner Saketh Myneni. Prajnesh is also the defending champion of the singles’ event and has received a bye in the first round. He will face either Saketh or Czechoslovakia’s Vaclav Safranek in the second round. Ramkumar Ramanathan, the second highest ranked men’s singles Indian tennis player, slipped sixteen spots to settle in the 157th position. The 24-year-old progressed to the quarterfinals of the ATP Taipei Challenger Open. Next articleAttractive pictures of Leryn Franco! !